When you are home you always have your phone to get you out of trouble. While traveling you may not be able to pick it up and make a call, but you can still use GPS if you plan ahead, even with no service. 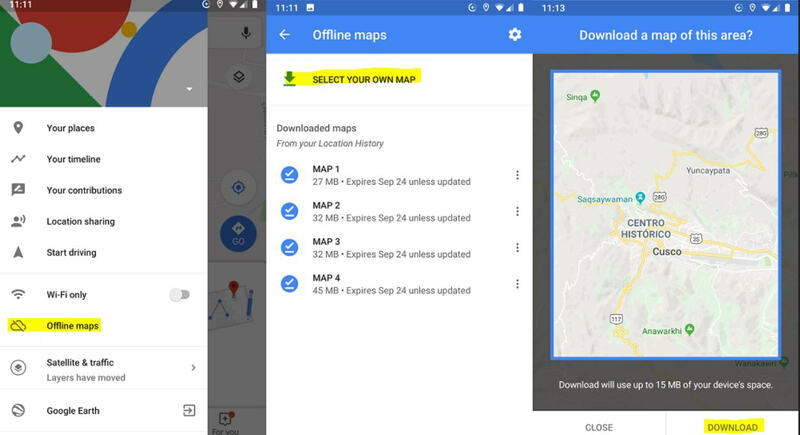 I download the maps ahead of time using Google Maps offline and/or Here Maps (see images below). Both will allow you to navigate with no service as long as you have the maps and are outside. You can search for an address or GPS points, but general search quires like restaurants usually won’t work. Traffic also won’t be available without data or wifi. I like to make a list of the GPS coordinates for each hotel I am staying at and other places of interest ahead of time so I can just enter the coordinates. 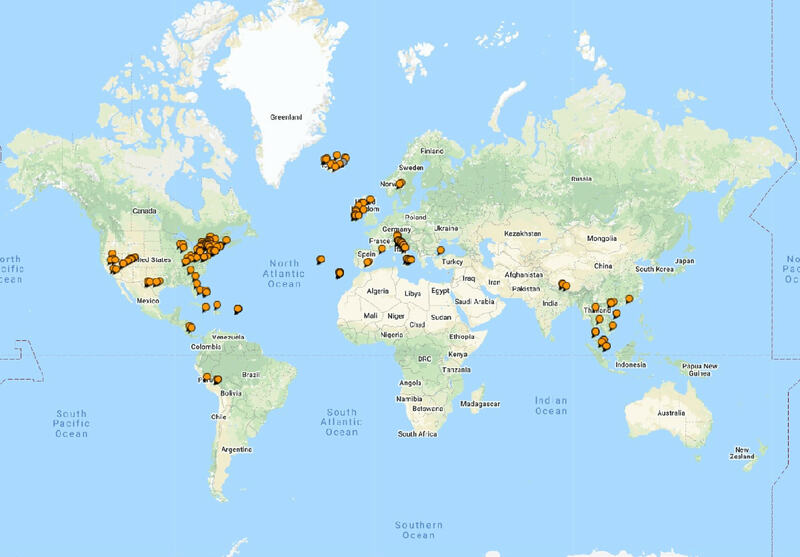 https://www.gps-coordinates.net/ is a good site to use for this. These instructions are for an Android phone and may be a little different if you have an iPhone, but still should work. Select SELECT YOUR OWN MAP at the top. You can also always go to this page to delete maps, by selecting the dots next to the map, to free up space. Drag and zoom as you normally would until you have the desired area in the highlighted box. The files size will show at the bottom of the screen. Select DOWNLOAD at the bottom of the screen. Select DOWNLOAD MORE at the bottom of the page. 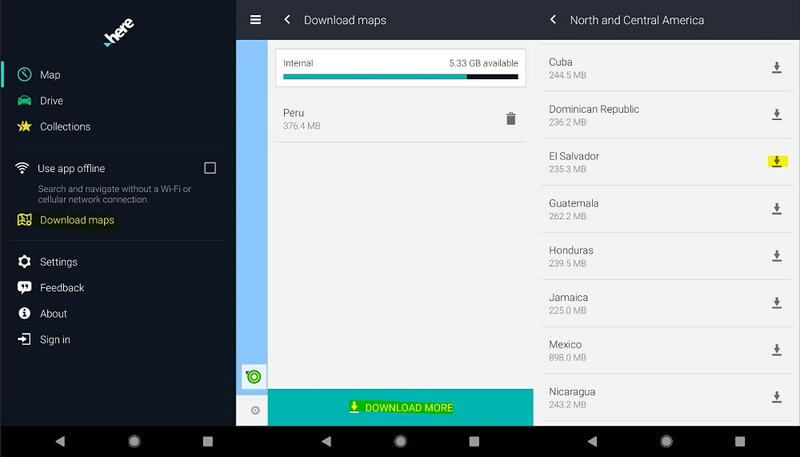 You can also delete existing maps from this page by selecting the trash next to each. Select the area you wish to download and select the download symbol. For some places the only option is the entire country, but for some you can pick the region. I like to have some idea of how I’m going to get around and what that will cost. Google Maps will give you options for this and the phone app will give you an idea of what an Uber would cost. https://www.rome2rio.com/ also provides this info along with bus and taxi prices. It isn’t always totally accurate, but gives you a good ballpark, and it helps when haggling over prices to have an idea of what is reasonable. Both Rome2Rio and Google Maps don’t know all the options, so it often helps to research your particular area.